If you follow me on twitter or instagram then I'm sure it is no secret to you that these are some of my favourite apps. I'm always browsing through my feeds and posting things that perhaps nobody cares about but I enjoy it. However there have been times, especially on instagram where I've hit a bit of photographers block (Is there even such a thing?) I love taking photos and sometimes I will really want to post a photo but have no idea what of. I find that photos when you're a blogger is extremely important if you want to get it noticed a bit more. 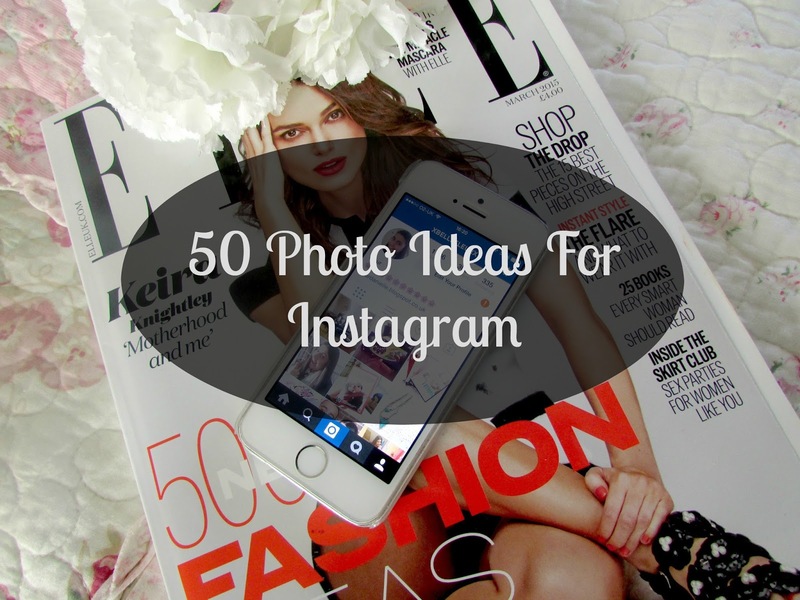 Below you can find 50 ideas of things to post on your instagram if you're struggling. Enjoy! 24. What's in your bag/make up bag? So there's 50 ideas for when you're stuck on what to post on instagram. Hopefully this post has given you lots of ideas and now you'll become really snap happy like I am! I just love taking photos as I think keeping memories are so important. There are plenty of apps out there now like Printic where you can print your instagram photos out too if you'd like to keep them for special occasions or put them in frames too. If you'd like to follow me on instagram then you can find me at @xbellefleurx. Be sure to leave your instagram links below so I can follow and check them out too. What do you like to post on instagram? PS, I loved this post! I'm always looking for ideas for instagram pictures and this was so helpful!